Michael Marquardt discusses early missionary accounts. The final installment of our conversation with Michael is only available to newsletter subscribers. 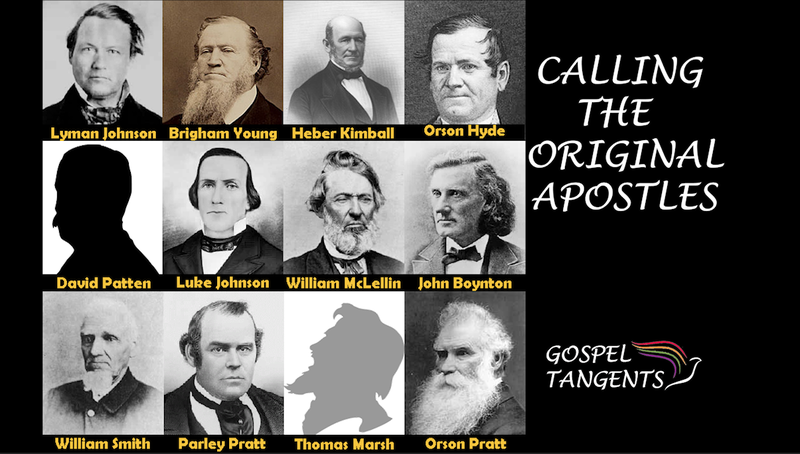 Sign up at gospeltangents.com/newsletter to get a secret link that talks about early missionaries and apostles! Here’s what we will talk about. What did they preach to new converts? How were the original 12 apostles called? We’ll also talk about the Community of Christ. Do they believe the church was founding in Fayette or Manchester? Sign up right away so you don’t miss out on our conversation! Michael Marquardt tells about early missionary work and the Travelling High Council in the 1830s. Here are our other conversations with Michael! 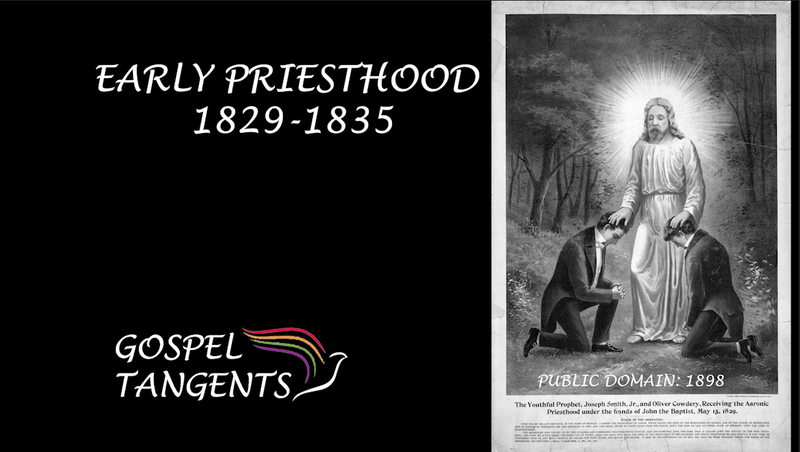 What was early priesthood like in 1830? Michael Quinn has said there are three different dates for the restoration of the Melchizedek: 1829, 1830, and 1831. I asked Michael Marquardt to weigh in on the issue of early priesthood. Michael: The high priesthood was like the office of high priest. So an elder, if you go backwards, would be an elder in the church and according to the Articles and Covenants. An elder is an apostle. An apostle is an elder. So just like any organization, there’s a development over time. GT: So if I remember right, there were only three offices when the church was organized on April 6, 1830: teacher, priest, and elder. And so, there’s a question as to whether elder was part of the Aaronic priesthood or the Melchizedek Priesthood. Michael: Yeah. There was no priesthood at that time. Michael: There was no priesthood. GT: There was no priesthood? Michael: No, it was an office in the church. What was early priesthood like between 1829-1835 in the Church? And check out our other conversations with Michael! 263: Who Were Original 6 in 1830? April 6 marks 189 years since the founding of the Church. We know from history that Joseph Smith said there were the original 6 members. But who were they? Michael Marquardt makes some educated guesses. Michael: Yes, well the earliest [sources] we have, because if they’re men, of course they would be ordained to an office in the church: elder, priest, teacher. And so since there was no minutes and no other church record, even though they were supposed to keep records, we don’t have that. And so the Manuscript History of the Church mentions Joseph Smith, Sr. It also mentions Lucy Mack Smith and those are Joseph Smith’s father and mother. It mentions Martin Harris. And, it didn’t have the first name, but last name was Rockwell. GT: So was it Porter Rockwell probably? Find out who else was likely there! Check out our conversation…. Michael Marquardt makes an educated guess as to who the original 6 members of the church were on April 6, 1830. Don’t forget to check out or previous conversation with Michael!